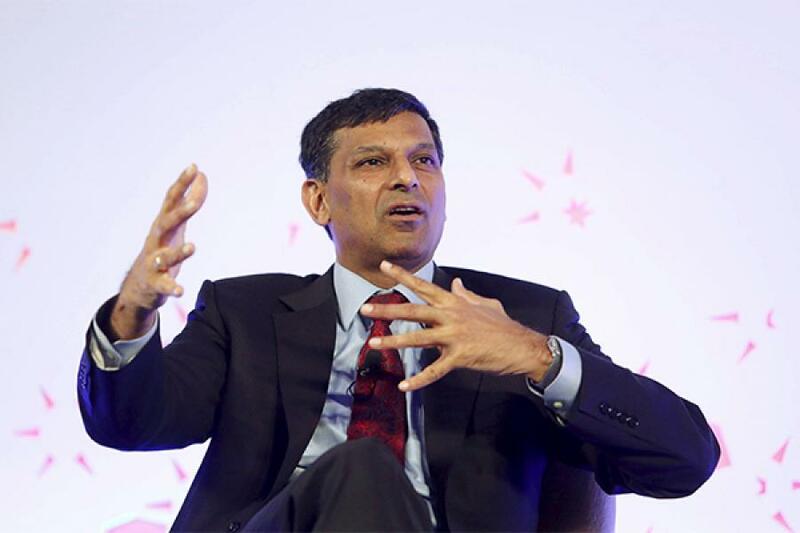 RBI Governor Dr Raghuram Rajan, in many of his speeches has quoted Jean-Claude Juncker, the former prime minister of Luxembourg. At the peak of the euro crises, Juncker had famously said (on reforms) – “We all know what to do, we just don’t know how to get re-elected after we’ve done it.” The pains of structural reforms are known immediately, but the gains come in some time after all. The truth is many world leaders today are biting the dust to admit that there is a stark lack of new ideas to tackle slowdown in growth and ineffectiveness of staid monetary policy tools. So now, especially now, is a good time to have a RBI Governor in Dr Rajan. After all, he is a lateral thinker – one who has demonstrated on multiple occasions that he is able to think innovatively and bring a fresh take to oft-tried and now failing macroeconomic tools. Let us examine two big demands on him, things that he has supposedly taken a contrarian stand on and gathered some scathing criticism for. First, he has resisted cutting interest rates too much and too fast and second, he is not giving in to the temptation of depreciating the currency. One just has to look at the US, or Japan or even Switzerland to know the ineffectiveness of cutting interest rates in silo. If that is all that’s needed to be done, then why have these countries not taken off in growth? It is true that each of them have their own set of problems, but ALL the world’s problems may today be summarised into two words – slow growth. One can well imagine that suggesting then to embrace the path of raising productivity rather than taking short cuts like cutting interest rates and devaluating domestic currency must be a difficult conversation to have. Now, this universal slow growth is led by three reasons: Too much borrowing by countries’ governments, too much leverage on corporate balance sheets and too little capital left with banks to lend. Just one cursory glance and you know these are structural problems. All around the world, governments and corporates have been borrowing to spend - only to enhance growth, or continue to keep alive the mirage of growth (which never really took off after the world credit crises). Rajan is no Greenspan and he was quick to point out that all of these are short cuts the Indian economy cannot afford. While the ruling government is focussed on fiscal prudence (as clearly signalled by maintaining the fiscal deficit numbers), the RBI, on its part, has focussed on containing inflation and ensuring that interest rate cuts are passed on by banks – a revolutionary step and structural reform in itself. To give credit where it is due, the Bankruptcy Bill in India is also a landmark reform measure that the government has just taken. The RBI’s pledge to clean the banking system will be more effective with this extended arm of the government. Banks now have more power to not only push promoters to pay up but also to put the assets/company back on track. While many point out that the RBI and the central government do not agree on some critical issues, the aforementioned measures reflect that this is a workable marriage. Some serious work is going on to ensure macroeconomic stability and we, in India, need to first believe it before anyone else. Let us now examine the second demand on Dr Rajan. A large group of people imagine that a devaluation of the rupee to make exports more competitive can work as the magic pill and boost the slowdown in trade. What are the troubles with a weakening currency? First, it signals a weak economy. Second, since we need to maintain foreign currency reserves, a weak rupee means that a huge ‘cost of carry’ has to be borne to maintain those reserves. This, is turn, depresses interest rates in the economy. Savers have to bear the burden of this artificially low interest rate. Foreign goods and the cost of foreign education become (artificially) unaffordable. The biggest risk is volatility in the markets and dumping of the currency by foreign investors who fear substantial fall in the value of their investments. Rupee may then crash irrationally like the rouble and the real. Therefore, high school economics tools like devaluating the currency to boost exports may not be the best idea right now. Instead, focusing on stable, long term capital flows and intervening where required to control wild trends in currency movements, like the RBI is currently doing may be what we need now. Dr Rajan’s urge to “increase productivity” instead of trying to artificially boost exports, again beautifully blends with the ruling government’s “Make In India” initiative. Where is the divide? There is too much agreement! I was glad to note that a leading newspaper recently surveyed CEOs in India and found out that 90 percent want a second term for Dr Rajan. That is corporate India CEOs for you - who should know if they are hurt by slowing growth rates. The same corporate India, that has leveraged balanced sheets and would heave a sigh of relief if interest rates continuously went down. Who are they then, who don’t want a second term for the RBI governor, and what may their interests be?